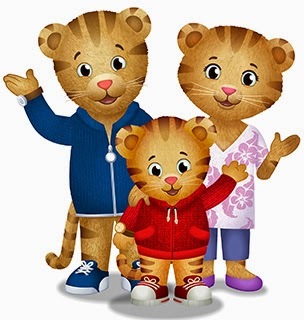 This is not party invitations related but I have been looking for PBS 'Daniel Tiger's Neighborhood' song lyrics and can't find anywhere! My 2yo son and 3yo daughter have been singing it with 'their own words' and I wanted to teach them the right way. I finally took the time and wrote the lyrics while listening to it. So here it is for everybody to sing along with their little ones. If some of these lyrics are not correct, feel free to comment the right one..
It’s a beautiful day in the neighborhood, a beautiful day for a neighbor. Would you be mine, could you be mine, would you be my neighbor. I got lots of friends for you and me, in this land of make believe, a friendly face on every streets ready to greet you. 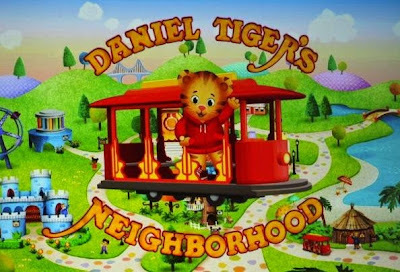 It’s a beautiful day in the neighborhood, a beautiful day for a neighbor, Daniel tiger’s Neighborhood! Its such a good feeling to play with family and friends. Its such a good feeling, a very good feeling, feeling you know..
and you have things you want to talk about I will too..